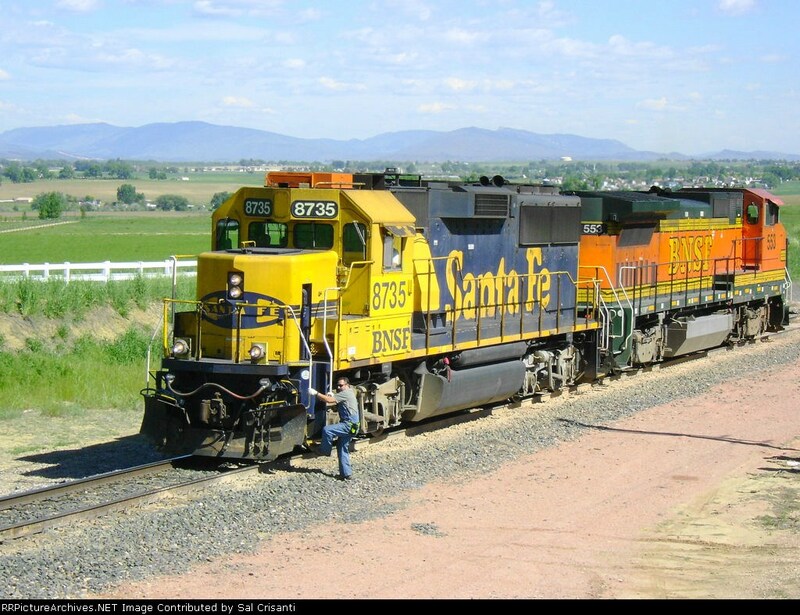 Friday is usually a short day for the BNSF Longmont, CO local, seen here heading back to town running light power. The motors stopped short of the switch. The brakeman exited the cab, and is about to step down from this BNSF EMD GP60 (8735), to align the north siding switch at Longs Peak, CO. The second unit is a GE B40-8W (553).